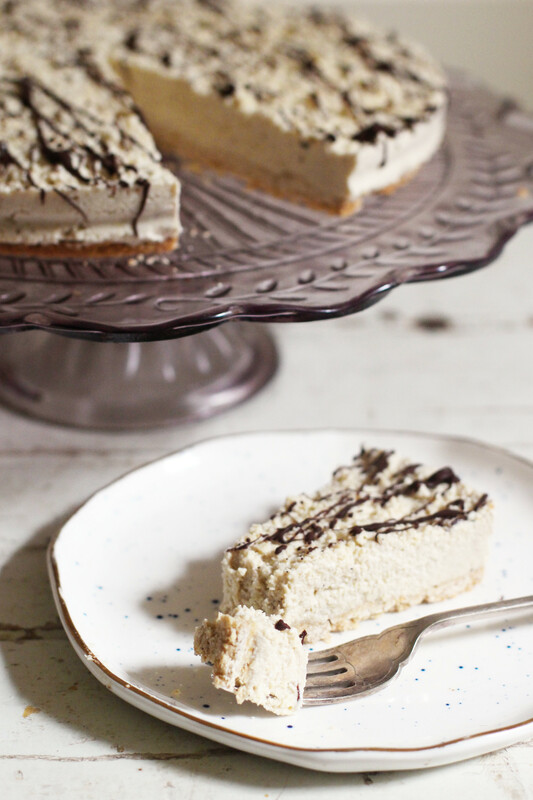 This is a gorgeous vegan swap for cheesecake. 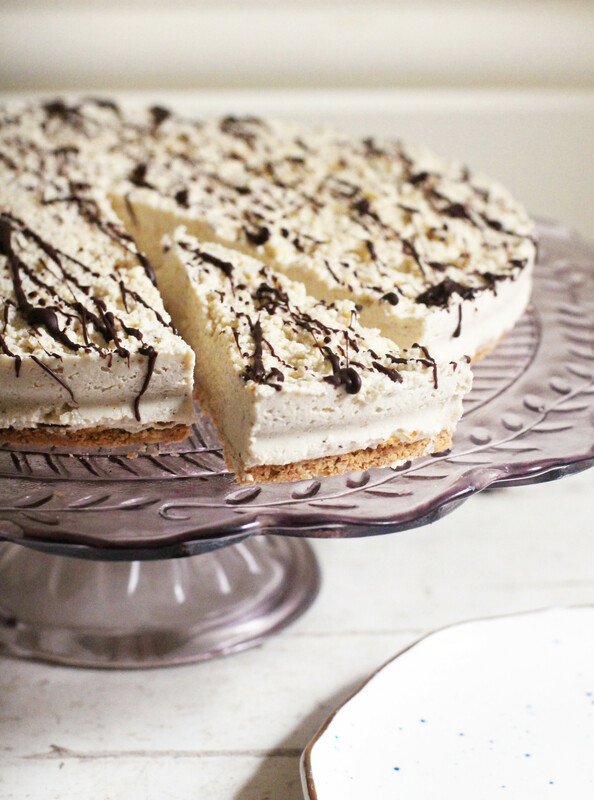 It’s beautifully creamy with a crumbly oat crust and the vanilla powder gives it a wonderful richness. As long as you remember to soak the cashews the night before, it’s super simple to make. Once it’s set in the freezer you can continue to store it there for an ice cream style cake or move it to the fridge for a softer, creamy cake. Add the cashews to a large bowl and pour water over them to cover. Pop them in the fridge to soak overnight. Preheat the oven to 180’C. Add the oats to your food processor and blend on high until fine. Add a pinch of salt and the honey and melted coconut oil. blend until well combined. Grease a spring form pan with a little coconut oil and then press the crust mix very firmly into the bottom. Bake for about 10 minutes until golden, then set aside to cool. Add the drained cashews to your food processor with the vanilla powder, honey and almond milk. Blend on high until smooth and creamy. Spread the cashew cream over the cooled crust and smooth it out evenly. Pop the whole thing in the freezer for about 2 hours or until set. Drizzle melted chocolate over the top to decorate before serving.